A special meeting of the Ponca City Board of Commissioners has been called for 9:30 a.m. Friday, Dec. 7. The meeting is called for commissioners to consider and vote on a transition agreement for the Ponca City Recreation Operating Agreement. The City of Ponca City entered into an Operating Agreement with the YMCA of Ponca City to operate a recreational facility that was yet to be built on April 24, 2007. The Ponca City Aquatic and Family Center – YMCA opened in December, 2010. The YMCA has run the facility since its opening. On Aug. 16, 2018, the YMCA Board of Directors voted to terminate the operating agreement with the City. There is a 180-day notice requirement in the agreement to terminate by either party. Either party is to provide to the other their intent to terminate the agreement prior to the end of the current term. The current term ends on March 31, 2019. Since the notice, the entities’ representatives have been meeting to determine a path forward on the operations of the facility. This agreement provides that effective Dec. 31, 2018, the YMCA will cease to operate the facility and turn the keys over to the City. The City will begin operation of the facility and open it on Jan. 2, 2019. Following an executive meeting that was closed to the public on Monday, the YMCA’s Board of Directors voted in public meeting on items which are ending the YMCA’s direction of the Ponca City Family and Aquatic Center. The YMCA Board approved a motion to borrow the balance of a line of credit with Equity Bank. The last funds from the line of credit will be used to pay all expenses used until the YMCA stops operating the center. Any remaining funds not used for those expenses will be returned to Equity to reduce the balance. The line of credit originally was made through Eastman National Bank and was transferred to Equity after the sale of Eastman. The board voted unanimously for the transfer of funds except for Eric Newell, who abstained. Newell is a member of the board but was asked to excuse himself from executive sessions because he is also Ponca City’s Park and Recreation Director. Director Diane Anderson stated she voted yes, with interpretation. The board also discussed a change in the proposed fee structure for child care at the YMCA and approved a draft. The final item of business for the board was accepting the resignation letter of Associate Director Stacie Hobbs. 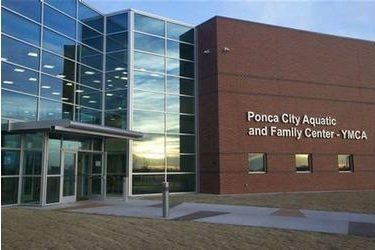 Immediately after the YMCA Board meeting ended, Ponca City’s Board of Commissioners entered into an executive session to discuss the split between the two organizations. The commission did not approve the proposal before them and voted to continue further discussion to reach agreement on the dissolution of the partnership.